Pregnant women get sick, and sick women get pregnant. Katherine Wisner, MD, has dedicated her scientific career to studying the psychiatric treatment of women of childbearing age and understanding how medications can be used to treat mental illnesses such as depression during pregnancy. "If you're going to treat a pregnant woman with a medicine, you owe it to her to treat her effectively, because the justification is reducing that disease burden. We don't want to treat women partway. We want to reduce that disease burden fully." 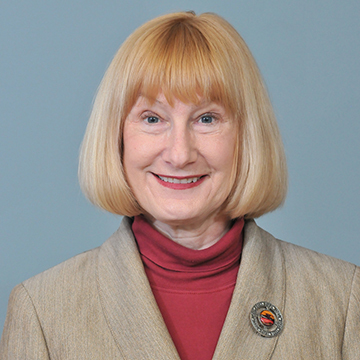 Kathy Wisner, MD, conducted research related to the psychiatric treatment of women of childbearing age that was inspired by an experience she had in the mid-1980s as a resident trainee on a psychiatric inpatient unit. She witnessed an appalling lack of evidence-based care for pregnant women on psychiatric floors. But, pregnant women, even today, are notoriously understudied, especially in drug or therapeutic research. One of the reasons for this is the tragedy in the 1970s involving the drug thalidomide and pregnant women. The thalidomide disaster lead to the medical community telling women they couldn’t take any medications during pregnancy. Even today, there are still physicians and patients who believe that a pregnant woman shouldn’t take any medications, Wisner says. As women have started to wait longer to get pregnant and diseases occur earlier and earlier in the life cycle, there are more women with illnesses that need to be treated with medication. There is now a new transgovernment report on the research gaps related to treating pregnant women with medication, a document decades in the making. Depression is an important illness to treat in women of childbearing age, Wisner says. In a large study, she and her team screened 10,000 women between four to six weeks postpartum for depression. The rate of positive screens for depression was 14 percent or one out of seven women. For women who are on antidepressants during pregnancy, there is evidence that they seem to stop working partway through pregnancy. One of Wisner’s current studies evaluates monthly concentrations of antidepressants in the blood across pregnancy and postpartum, in order to identify the proper dose increases and medicate women correctly. There's also a new interest in epigenetics and pregnancy, or what some people call fetal programming. Currently, Wisner’s group is looking very closely at the health of the fetus with a new NIH-funded research project. They are interested in the follow-up with the infants after they are born. Erin Spain: This is Breakthroughs, a podcast from Northwestern University Feinberg School of Medicine, I'm Erin Spain, editor of the Breakthroughs newsletter. In the mid-1980s, Dr. Kathy Wisner was a resident trainee on a psychiatric inpatient unit there she witnessed pregnant patients suffering without medication and was appalled by the lack of evidence-based medicine to guide their care. The experience inspired her to expand her medical career into research related to psychiatric treatment of women of childbearing age. Today, she's the director of the Asher Center for the Study and Treatment of Depressive Disorders and the Norman and Helen Asher Professor in Psychiatry and Behavioral Science and Obstetrics and Gynecology here at Northwestern University Feinberg School of Medicine. Thank you so much for joining me today. Katherine Wisner: It's my pleasure. Thank you. Erin Spain: I'd like to go back to your experiences as a resident, how we're pregnant women on the psychiatric floor treated in the mid 1980s. Katherine Wisner: Yeah. This was a time when women were viewed basically as small men, so the idea that they might have different medication requirements that they might need specialized treatment really was not in the in the consciousness, in the medical consciousness at all. So on this unit, I witnessed a woman, a psychotic woman throwing herself against the seclusion room wall, and she was about six months pregnant and I said to my attending psychiatrist, we have to treat her. Oh, no, no, no, we can't treat her, can't give her medicine. She's pregnant. I said, well, we have to restrain her. Oh, no. no it might compress the baby. The next day she started bleeding and lost the fetus. And from that day on I got very angry about why a pregnant woman wasn't entitled to healthcare for her body, given that her body is what nurtures that fetus. I mean, you know, this was a great example. The other time that I remember getting very angry was when I was talking to one of my senior supervisors about a patient I was seeing who was about five months pregnant and depressed and he listened, and then his comment was, well, Kathy, you know you have the wrong diagnosis because pregnant women are fulfilled. They can’t be depressed. So again, this is the 80s, and we've come a long way, but we haven't come far enough yet. Erin Spain: Pregnant women even today are notoriously understudied, especially in drug or therapeutic research. And there's a lot of reasons for that as you were mentioning – people worried about the unborn child, the fetus, right? But there's other reasons, too. Why is this still happening – that women, pregnant women aren't involved in research? Katherine Wisner: That's a great question. One of the other reasons are one of the, again, the context situation was in the seventies we had the horrible thalidomide disaster. So the entire public consciousness at that time was you have to stop every medicine because these tragedies can happen. Erin Spain: For people that don't know what was that? Katherine Wisner: Oh, sorry. Yeah. So it's a little, I forget, this goes back away. So the thalidomide was a drug used in the first trimester as a sedative for pregnant women and about 25 percent of women who took this drug gave birth to babies that had limb reduction problems, so basically stumps as arms and legs. And it was never a drug that was used in America because one of the people now viewed as a hero at the FDA said, no, there's not enough data, but across Europe many children were born with these limb reduction anomalies and this was on the cover of Life magazine. It was very frightening. So of course the reaction was, oh, you can't take any drug at all while you're pregnant. And so that was sort of the philosophy of the time and there are still many, many physicians who believe that and many patients who believe it. So, even now, it's not uncommon for me to get a call from a pregnant women who said, well, I got pregnant and I stopped all my medicine and you know, we'll say, well, did you talk to your physician? No. Or we'll say, did you talk to your physician? And, and she will say, oh yes, he said, you must stop all your medicine. So this still happens. So across time what's happened also is women are waiting longer to get pregnant. Diseases are a occurring earlier and earlier in the life cycle. So we have many more women with illnesses that need to be treated. So what happens is if your philosophy is no medicines in pregnancy and we're not going to study pregnant women because it's unethical to use medicines, what you then have is a public health problem the other way, that medicines that are used for the general public for a woman who has the same disease, if she's pregnant, there's no data to guide decision making about reproductive safety. So, that has become the new public health crisis. And we talk about women being therapeutic orphans. So there's now a huge initiative by the government that, that has been mandated to come up with a report after four meetings which have already occurred. This September there'll be a trans government report on what are the research gaps related to pregnant women. So we're going from 1980 to 2018 where there are federal directives now to begin to deal with this. Erin Spain: Nearly 40 years. Yes, yes. And you've been a part of this? Katherine Wisner: Across time. Indeed, from the very first meetings that were held by the FDA to determine whether the way they were giving information about drugs and pregnancy was effective. I was initially a part of that and that took effect, the new regulations took effect in 2015. So it, you know, these policies take a long time to change, but there is much more attention now to what the CDC calls treating for two. In other words, rather than saying, oh no, you can't use any medicine, saying these diseases are important to treat in pregnancy. Diseases have major effects on the fetus as well, and generally have very poor outcomes if they're not treated. So the thinking now is, well, how do we get the best result, whether it's medicine or other kinds of therapies, what's the best for the mother and the fetus to improve reproductive outcomes? It's been a long journey. Erin Spain: Well, you have a very interesting stat that one in seven women who are pregnant or postpartum are screened for depression. Katherine Wisner: So yeah, we did a large study and screened 10,000 women at between four to six weeks postpartum. And the rate of positive screens for depression was 14 percent or one out of seven women. So, what that meant was at four to six weeks postpartum, in a general population of women, one out of seven are going to screen positive and we did a diagnostic assessment on almost a thousand of those women in almost all of them did have a diagnosis of an illness, a psychiatric illness, and the most common one was depression, but not a single episode. It was depression, often the second, third, fourth episode in her life, and superimposed on an anxiety disorder that began early in childhood. So these illnesses – anxiety, depression – are very common in women. The other interesting thing was when we asked those women at six weeks postpartum, four to six weeks postpartum, when did the illness begin? About 40 percent said this happened right after the baby was born. And we know there's this high-risk period due to massive hormonal withdrawal in part that occurs and makes this burst of postpartum cases. But about a third of the women said it began in pregnancy and a quarter of the women had chronic depression. That is, it began before pregnancy and they were depressed all through pregnancy into the postpartum period. So it's a set of different timings of onset, so we now recommend that women be screened yearly for their regular medical appointments, but also then in the first trimester, in the third trimester and then postpartum, and we do that here at Prentice Women's. Erin Spain: And there's an effort to make sure that if a woman is on medication, you find a way to that they can continue having their treatments. Katherine Wisner: We do a lot of work in my program. We have a very a special clinical program, where that is actually the majority of cases that we see, are women who are either treated with maintenance medication who are asking the question, is it better or should I stay on my medicine? What are the risks versus what are the risks of the medicine? Because some women become very ill and can't function if they have moderate to severe depression. And then the pregnancy suffers because what happens to the mom happens to the baby. So this physiologic anxiety, panic, depression, staying in bed, not exercising, difficulty making decisions, hard time getting to obstetrical care, those things have impacts on the pregnancy outcome as well. There's also a new interest in fetal programming, meaning that again, what happens to the mom happens to the baby and if that baby is the fetus is grown in a milieu of depression, there are actually genetic changes, that we call epigenetic changes which occur that program that baby's health for life. So again, a new area of research that's being incorporated into this idea that women need to be healthy in pregnancy and if that means a medicine to treat seizures, asthma, depression, then that needs to be considered carefully in the equation. Erin Spain: I know a lot of people are worried about, well what about the fetus? What about the unborn child? And that's something that you are looking very closely at with a new NIH-funded research project. Katherine Wisner: Yes. Yes. We're…we're really excited. We have a center grant, so there are three center grants that were awarded by NIH. This specific NIH entity, NICHD, Child Health and Human Development, which awards the centers and they are specific centers to look at improving medication treatment for pregnant women. So our site here at Northwestern, me with my colleagues, Al George in Pharmacology and Catherine Stika in OBGYN have a center and we are looking at the use of the most common synergistic drugs the most common SSRI antidepressants that are used in pregnancy. And what we are trying to understand is we know that the physiology of pregnancy changes dramatically from conception to birth. And that's pretty obvious to anybody that the woman goes through an incredible number of changes while that fetus grows and her body changes. And so what we've discovered through the years, probably about 25 years as well, is that if a medicine, any medicine depends upon having an adequate concentration in the blood to go to where it needs to work. And what happens in pregnancy is because the biology, the physiology of pregnancy changes across time, in many cases, if you give a standard dose of a drug across pregnancy, that concentration of that drug just goes down and like it might be taking, you know, a full dose of a painkiller in the first part of pregnancy that's like a quarter of a dose later on and so what we are looking at as the antidepressants and we evaluate monthly concentrations of antidepressants across pregnancy and postpartum because we were seeing again clinically that the antidepressant seemed to stop working partway through pregnancy. And the issue is that a woman's liver, which is what processes those antidepressants, goes into double or triple speed metabolizing because it's the mom is metabolizing for two while she metabolizes those medicines away as well. So we see that the concentrations of these medicines dropped during pregnancy and if it drops below what she needs to work, she gets depressed. So in this study we want to understand exactly how and when these levels change so we can medicate women correctly. And this is not only true for antidepressants, it's true for antihypertensive. We actually have another grant to study a common antihypertensive across pregnancy and we are also looking at drugs like Methadone and Buprenorphine to treat opioid addiction. Those levels go down as well. So in our study we're trying to understand, again, how do we treat pregnant women optimally because we all believe, and I'm sure all everyone listening to this would believe, that if you're going to treat a pregnant woman with a medicine, you owe it to her, treat her effectively because the justification is reducing that disease burden. So we don't want to treat women partway. We want to reduce that disease burden fully. Erin Spain: And you're also interested in the follow-up with the infants after they're born. Katherine Wisner: So yeah, we have a yes. Again, a separate study, and what we're doing is really exciting with a grant from Prentice Women's actually, we are doing ultrasounds in the second and third trimester to look at fetal behavior. So one of our colleagues has developed a special measure of fetal behavior that we look at second and third trimester, and it's linked to examinations that occur postpartum. So we do an exam when the baby's born, and then while the baby's at home, we videotape the baby in a freestanding, with freestanding equipment above the baby's crib, we video the baby and then that's coded. And what we want to understand is for women who have, who are treated with medicines and women who are depressed but untreated and women who have neither depression nor medication treatment, are there behaviors that we can pick up while the baby's within, while the baby is still a fetus that continue into the postpartum period? Or do some signs start immediately postpartum? Because there's a common, I would say, myth out there, that women who take antidepressants, that their babies have what's commonly referred to as neonatal withdrawal. That's a possible explanation, that when a baby's born, the baby has a level of medicine and that that comes down and that that's what creates some restlessness, rigidity, tremor in the baby. So also though possible that there are other mechanisms. And so we call it neonatal adaptation. It's generally transient. It occurs in babies of women who don't take any antidepressants as well, it is just a bit more common in moms who take antidepressants, and we want to be able to understand how to reduce any effects in the newborn, because we want to give as healthy and as adaptable a newborn as possible to a mom who's at risk for depression or any moms, since we know one of the seven are. We also have done studies to follow the development of the babies across time. So we've tracked babies exposed to SSRIs across time, up to two years; to depression, but no medicine, up to two years; and without any exposure to medicine or depression after two years. And we didn't find any difference at 18 months or two years in the mental development of those infants. And that's consistent with the literature. So again, what we want to do is get as much information as possible to treat women well. There's also some very interesting data that has come out of Scandinavia which showed that well-treated women when the women were treated, with SSRI, had a lower risk for cesarian delivery and pre-term birth than women who were not treated. Which again implies, if we treat women well and reduce the illness to as much as possible, might we improve outcomes and that's what we've all believed. But the data have been so focused on what are the bad things that happen that we haven't looked as carefully at, wait a minute, there is probably a mix of good and bad things that happen. How do we maximize the good? Identify those couples, mother, baby pairs that are more at risk for the negative findings. How do we do that to improve care? And that's what our research is about. Erin Spain: And you said a lot of the women that you encounter that to be recruited in these studies, they're happy to participate. Katherine Wisner: Well, they're happy in their obstetricians and prescribers are often happy as well because what I'm talking about now with the changing levels across pregnancy, that is not something that occurs in most people's curriculums and we are just developing a curriculum nationally for that now and our first conference for these obstetric fetal pharmacology issues is here at Northwestern in November. So, a lot of people don't really know about that. So when we have patients, we educate their practitioner, we give the practitioner the results of their screening for depression every month and if they're a non-psychiatrist or mental health professional referral person, which most of them are, most of the treaters are internal medicine docs, family docs, obstetricians, they're really happy to have that monitoring. And they know that if the mom gets depressed, starts to be in trouble, they can contact us. They, you know, so it's, it's a support for them. But also the moms have been very altruistic. They say I want treatment to be better for the my daughter. That's really a common statement. Erin Spain: I want to dive a little deeper into the study. So you're doing blood tests with these women and also screening tests. Katherine Wisner: Right. So when they first come in every month, starting from as early as we can get them in pregnancy, we take a blood sample at exactly 24 hours after their dose. So every month they come in, they get blood samples 24 hours after the dose. And what we anticipate that we're going to see is what we've seen in some previous trials, is that the levels just start going down. But what we do is, we give their depression and their anxiety rating scores that happens every month is when we give that to the practitioner. So the prescriber then decides with the patient, should we go up, should we wait? And we're tracking those dose changes as well. And then when we are done we'll look at all of these concentrations and we will put trajectory graphs. So we'll see what exactly is the frequency of the rapidity of change. And what we see for some patients is that it's stable for a while and in the second trimester, third trimester really plummets. That's the most common. But we also see some drugs where the change is very rapid and you have to, which is a little counterintuitive, you wouldn't think that the changes would be that rapid. So for a drug lamotrigine, which is a medicine used for seizures and in bipolar disorder, as soon as the woman gets pregnant, that drug starts to plummet quickly because the way it's metabolized is a little different than for the serotonin drugs. So we want to be able to know how these medicines change across time. And so instead of doing what we do now, which is not even that widely done in practice because people, a lot of people don't even know the levels change, what we do now is we say we're going to watch you and when that depression begins to come back or the anxiety begins to come back, we'll increase the dose a little bit and see what happened. And, typically what happens is they recapture the response very quickly within a couple of days because again, the level sort of drifted here and what they need is maybe a little above it. So you give a little bit more and they feel better, usually within a few days, so that's a kind of way to track and treat sort of we call it or chasing the correct dose, because we don't have those algorithms now to figure out how you know when we want to do is see add baseline early pregnancy, what factors dictate how rapidly that woman's level change. So we do genetic studies there because how fast those liver enzymes work is actually genetically programmed and we can look at those genes and say, okay, she's a real rapid metabolizer or she's a poor metabolizer, so that's where Al George comes in with a pharmacogenetics. So we're hoping in the future we can get some genetic studies, we can look at her history, some clinical factors and say, ah ha, your trajectory of medicine doses will be this one and we can preemptively dose to keep her entirely well. Erin Spain: What resources are out there right now for OBGYNs and pregnant women or postpartum women if they want to learn more about how their illness should be treated during this time? Katherine Wisner: Yeah, well at a very hands on level, there is a group called MotherToBaby. It was formerly the organization for teratology information services, OTIS, which got confused with elevators, so that's a mouthful. And in MotherToBaby now has substantial Department of Health and Human Services funding. I'm on the research committee for this. It is a free service. Genetic counselors, pharmaco-epidemiologists run this service and it is, again, free. There's a live chat, there's email the expert. Whenever I come across a medicine that I'm not sure about that's outside of psychiatry, I use that service and we can always find somebody who is an expert in that particular agent. And it's um, if you just google mother to baby, you come up with a site. They also have what are called fact sheets. So for every common drug there's a fact sheet front and back, one page, written for anybody to understand, high school graduates, even non-high school can understand, and it is a summary of that medicine or the disease. So the fact sheet on depression in pregnancy and in medicine in pregnancy. And those are very good to put in your record for medical, legal purposes as well. Gave patient MotherToBaby fact sheet. So at that very basic level, there's that particular resource. Then we published a paper that is probably several years old now, the primary authors, Kim Yonkers, about antidepressant treatment in pregnancy, but to be very honest, not a lot has changed in that time. So that paper, which was published in American Journal of Psychiatry and Obstetrics and Gynecology is a good resource. And, I sound that I'm sort of doing a plug, but the Gabbe textbook, is Gabbe's Obstetrics textbook is a very commonly used one. My colleagues and I wrote a very comprehensive chapter on psychiatric treatment in obstetrics in that book. So there are a number of resources. The American College of OBGYN also has position statements out about treatment of depression in pregnancy, which are quite good. So there are a lot of resources now. Very few of those resources though, talk about dose changes across pregnancy. So that's something that we're, we're revising the Gabbe book now and we're putting that in this version. Erin Spain: Excellent. If you were to walk into an in-patient psychiatric ward right now in a pregnant woman, was being treated, what would be different than what you saw in the 1980s? Katherine Wisner: Well, it's, that's a really interesting question because one of the women who works in my program and in the perinatal field is the attending psychiatrist on the unit here, who works with most of our pregnant patients. So naturally. Yeah. So, so I mean, here, there's a lot of awareness and you know, we get called or she treats the pregnant women. But it's true, it's getting to be true across Chicago because as I was mentioning before that we have collaborators in most of the Chicago schools now. People that have worked with us or that we collaborate with. So I’d say in Chicago there's a much greater awareness that pregnant women get sick, sick women get pregnant, they need treatment and that there are dose changes across pregnancy. In other cities, it's certainly not as commonly known. And our group – it's called Marcé of North America, is our national group that deals with perinatal mental health – we are writing a curriculum now that will be put on a free NIH website that will be a curriculum for professionals interested in treating pregnant women with mental illness. And that that I expect will be out maybe in another year, but it's the first time, again, a comprehensive curriculum will have been developed, so lots of exciting things happening, much better than 30 years ago.